College is not just an important stage in every young adult’s life. It is also an initiatory journey which will teach you, through the power of experience, the valuable lessons that will become the very foundation of your grown-up life. The perfect setting for a series of trials and errors in all aspects of life, from studying and discipline to friendship and love, college also means the freedom of being your own person and making your own decisions. How else could you figure out what’s best for you? In terms of freedom and decisions, without parental control, college life can be a minefield of dietary hazards. As a college student, your eating habits can influence more than your weight and your budget. They can significantly impact your academic performance and results. According to Dr. Paul J. Veugelers from the University of Alberta in Edmonton and his collegues, who studied the link between nutrition and academic success (article source here), students whose meals included the optimal amount of fiber, proteins, fresh fruits and vegetables had better academic results than those who did not. This means you can use nutrition as an unexpected ally to get better grades and recognition. Here is how. Whether you’ve been studying until late or partied all night, the first thing you might be tempted to do in the morning is skip breakfast. Which is bad for your brain as it needs fuel, in this case glucose, to start the day right. 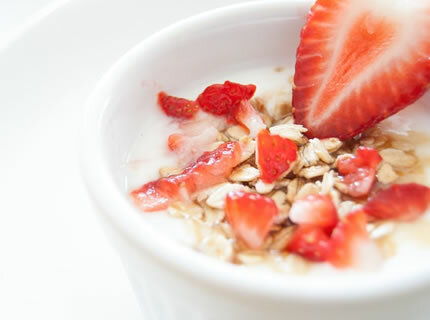 Even if you’re always in a rush in the morning you can still have a healthy breakfast: youghurt and blueberries, cereals, musli, a whole grain wrap etc. The first things you’ll notice: more energy and a better attention span. Also, you’ll recover much faster after an all-nighter. 75-80% of your brain is water, therefore, it needs proper hydration in order to function in the best way possible. Drinking enough water can make your brain 14% faster and can also improve your ability to focus on the task at hand. Other types of drinks, like juice and tea, are also hydrating as long as they are fresh, sugar free and made of health promoting ingredients. If you simply don’t like the taste of water and you’re more of a habitual soda drinker, you should give healthier alternatives such as fruit and vegetable smoothies a well-deserved try. Besides being hydrating, they have many other positive effects that can benefit you: for example, unrefined juices and smoothies that contain blueberries, bananas, apples, pumpkin, flax and chia seeds can boost your brain power by enhancing memory and focus. A busy campus life often means irregular eating schedules. Most college students rely on snacks and fast food to satiate their hunger and replenish their energy but these are not always the best options available. Your snacks can make you smarter and healthier should you let the right one in: nuts, especially walnuts, are also known as brain food due to their increased Omega 3 content, which is an essential fatty acid that improves cognitive performance in adults and reverses cognitive decline. Blueberries are effective in improving short term memory, avocados and broccoli improve blood flow and cognitive function while pumpkin seeds, rich in Zync, will improve your overall memory and processing speed. Dessert lover much? Try dark chocolate (75% and above) every now and then. Besids being loaded with antioxidants, it containes caffeine, a stimulant that improves focus, concentration and the overall mood. Next time you’re hungry, eat smart. Your waistline and your grades will thank you for it. And remember: college is a great way to define your future, but it’s also the time when most stomach pains and health-related medical conditions can debut. This article was written with the help of health consultants at Home Juice, an online resource for home pressed juices.